It's nice to be home after being gone for a few days. I'll share those pictures over the next few days. In my previous post I was talking about the service projects I went to. I am finally able to post the crochet hat I did. This baby hat was really super quick to put together. I think this is for a preemie. I think I whipped it up in 30 minutes. If you would like to make one, this is how I did it. Row 1 -chain 31, then double crochet in each chain to the end. 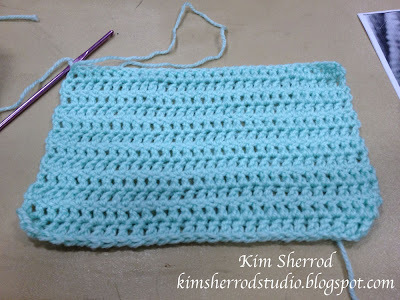 Row 2 - Chain 2, double crochet in each double crochet. 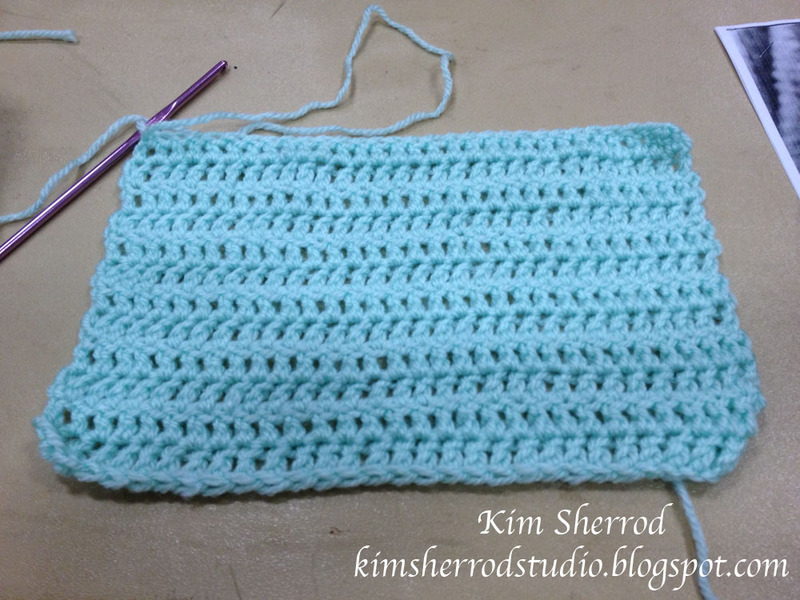 Repeat Row 2 for a total of 12 double crochet rows. This will give you a little room to roll the bottom of the hat up to act as a brim. Fasten off, leaving a long tail. Sew up the sides to create a tube, then sew up the top of the hat and pull it tight to close. Tie off. If you would like to make this for a larger child, the lady in charge of this project (BTW is a wonderful lady), said to chain 60 and make it as long as you would like. 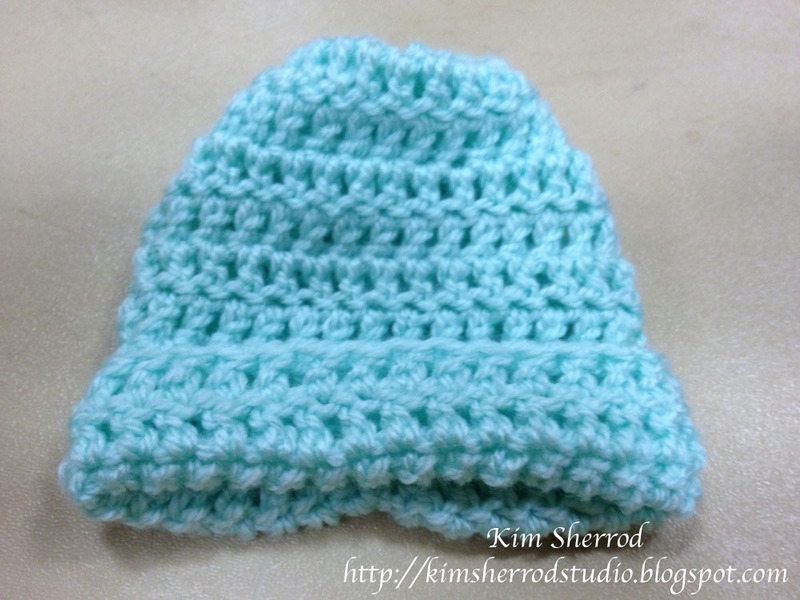 Here is my finished baby hat. I am going to make some more to donate. I have a bunch of yarn I've been trying to use up and this would be a great project to do. Welcome home! :-) Very sweet little hat. 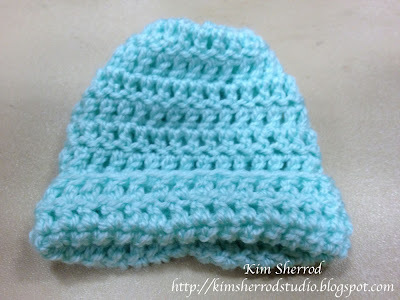 Such a cute and easy little hat. Thanks for the instructions.